Lemont—Who hasn’t walked into a fabulous fully decorated Builders model home and thought it would be great to just move right in? If you are one of the many people who thought just that, now is the time to act while DONVEN Homes is offering their four beautifully decorated Model homes for sale in the exclusive community of Ashbury Woods in Lemont. These homes offer a unique buying opportunity because they are loaded with upscale amenities and many designer touches. All four of the Model homes now being offered for sale have full, finished basements with full baths and are located in a prime Lemont location. Now being offered at special reduced prices. “The Model homes offer a great buying opportunity, especially for people looking for immediate occupancy and won’t last long,” said Don Stevens, president of DONVEN Homes. The featured townhome Models have first floor master bedroom suites, ranging in size from 2,125 to 2,425 square feet and include 2-car finished garages, 2 to 3 bedrooms, 3 1/2 baths, dens, lofts, finished basements and all the upscale amenities. This Model home sale opportunity is available now because new models are being built in the new Phase 3 of Ashbury Woods, located 2 blocks West of the existing community, on 127th Street at Hillview Drive. 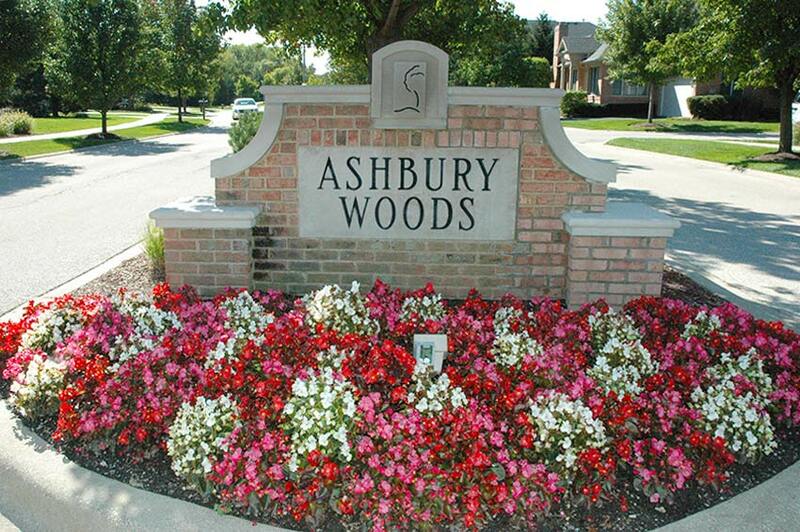 This is a chance to become one of the satisfied customers in the Ashbury Woods community. Current Ashbury Woods homeowners attribute their high satisfaction level to the excellent location, with maintenance free living, in a large, well constructed townhome and great customer service. DONVEN Homes has long been a leader in luxury home building, featuring distinctive architectural designs, spacious floor plans and special upscale amenities. “Our success lies in our homeowner’s satisfaction. This is a great chance for more people to experience all the Ashbury Woods community offers, including a home to last a lifetime, in a maintenance-free environment, with spacious and bright single-family style floor plans. The homes are in a prime, wooded location with all the benefits of living in the historic and charming Village of Lemont,” Stevens added. Homeowners will be close to shopping, dining, golf courses, the I-55 and I-355 expressways, including the new interchange on 127th St., and a Metra train station in downtown Lemont. They will have the ease and cost-effectiveness of a maintenance-free townhome in an attractive community. The Dunhaven model is an elegant two-story “ranch-style” home featuring 2,125 sq. ft. (plus 900 sq. ft. finished basement with bathroom) with a first floor master bedroom suite, 2 additional bedrooms on the second floor and 3½ baths, all in a private end location. It has a large formal living room with volume ceiling, a masonry fireplace with media center and black granite hearth; second floor loft with custom built-in bookcases overlooking a vaulted ceiling foyer and dining room; a large gourmet kitchen with stainless steel appliances; a corner breakfast room; electronic air cleaner and zoned heating; extra sound insulation; security and intercom systems; maple hardwood flooring in four areas; upgraded ceramic tile; custom maple cabinets; upgraded light fixtures and faucets; designer window treatments and wall finishes; 2 car garage; and more. The Edgebrook model is a classic all brick two-story with 2,425 sq. ft. of living space (plus 900 sq. ft. finished basement with bathroom). The first floor master bedroom suite has a tray ceiling, luxury bath and walk-in closets; a loft and bonus room with a see-thru fireplace and media center; a 2-story living room and dining room; 3 bedrooms and 3½ baths; nine foot ceilings; a spacious island kitchen with granite countertops and stainless steel appliances; a bright breakfast room; convenient first floor laundry room; 2-car garage; security and intercom systems; Brazilian cherry hardwood floors in five areas; upgraded ceramic tile; zoned heating control system and electronic air cleaner; cherry cabinets; upgraded light fixtures and faucets; custom window treatments; and more. The Carlton model is a distinctive two-story home with 2,200 sq.ft. (plus 900 sq. ft. finished basement with bathroom). It features 2 bedrooms and 3½ baths with a 2-story foyer, living room and dining room; first floor study with built-in bookcases; two sided fireplace with media center; elegant rounded drywall corners throughout home; decorative built-in wall niches; red oak hardwood flooring in five areas; upgraded ceramic tile; zoned heating system and electronic air cleaner; extra sound insulation; security and intercom system; upgraded appliances and countertops in kitchen; breakfast area; upgraded light fixtures and faucets; designer window treatments and wall finishes; 2 car garage; and more. The Biltmore model is a dramatic two-story home featuring 2,200 sq. ft. (plus 900 sq. ft. finished basement with bathroom). It features an individual living room, dining room and family room; 2 bedrooms and 3 1/2 baths; 3-sided fireplace with media center; 2-piece crown molding in family room; white oak hardwood flooring in three areas; upgraded ceramic tile; granite countertops and stainless steel appliances in the kitchen; extra sound insulation; security and intercom systems; electronic air cleaner; upgrades light fixtures and faucets; custom built-in mirror and shelves; designer window treatments; 2 car garage; and more.